Tooway open up for new domestic customers again!! 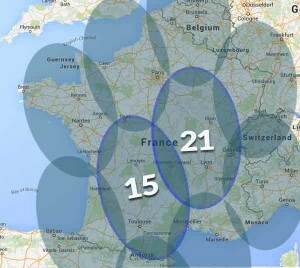 Eutelsat in an effort to control bandwidth problems have taken the step of denying new Tooway domestic customers activation on beams 15 & 21 covering parts of central & south west France. These beams cover almost all of the area serviced by Satellite TV Solutions. Tooway Professional tariffs are still available. This information is courtesy of Big Dish Satellite and the move by Eutelsat is said to affect over 16,000 communes.